Here are 10 Twitter account management tools to help you keep your Twitter activity in check – whether you tweet for one account or many. HootSuite is a great – and free – tool for managing multiple Twitter, Facebook, LinkedIn and Ping.fm accounts. The Twitter and social media management tool allows you to personalize columns, so you can view multiple feeds from the same social networking account or multiple feeds from different social networking accounts. For example, with my personalized Twitter tab (shown above), I can view my Twitter home feed, Twitter mentions, sent Tweets and a saved search for “online marketing” – all from one screen. Plus, HootSuite allows you to create a message and choose which social accounts you want the message to be automatically posted to. Like HootSuite, CoTweet is a free and easy tool for managing multiple Twitter accounts – up to five – with a single login. It also allows brand and keyword monitoring through Twitter search. This Twitter management tool’s true distinguishing feature is its workflow management capabilities (shown above). When an @ reply comes in to an account, you can assign it to a person on your CoTweet task to respond to. They’ll be notified via email and on their own CoTweet page. Plus, the tool allows you to take notes on Twitter users for your co-users to see. EasyTweets is a low-cost Twitter management tool for managing multiple Twitter accounts – the more you pay, the more continuous searches, feeds and accounts you can track. With this tool, you can automatically post RSS feed content and track RSS traffic in Google Analytics. That way, you can easily track traffic from Twitter and understand what users do when they get to your site. Another useful feature, the Twitter management tool lets you set up continuous searches for brand mentions (shown above), and auto follow some or all users who mention your brand. Plus, you can be set up to send SMS or email alerts when people mention your brand. So wherever you are, you won’t miss your chance to respond to a prospect. This free desktop browser helps you keep track of Twitter, Facebook, LinkedIn and MySpace activities from multiple accounts. Like the other tools mentioned here, you can update your accounts, follow topics with saved searches, and manage conversations with @ replies and direct messages from within TweetDeck. But the social media management tool offers some more advanced features as well. TweetDeck allows you to record, share or watch video clips, and view YouTube videos, from within the tool (shown above). Plus, you can share and view photos, as TweetDeck now supports Flickr, Twitgo and mobypicture. This Twitter and social media management tool, currently in Beta version, offers a very simple, visual browser-based dashboard view of social activity. 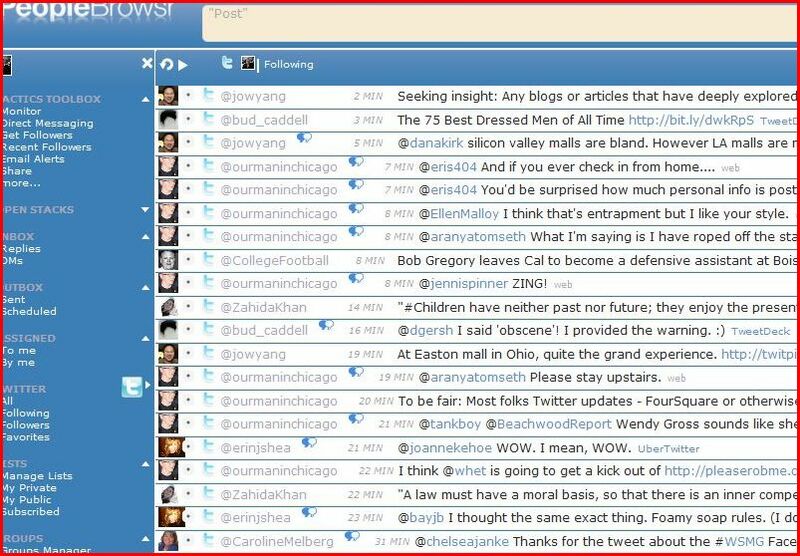 PeopleBrowsr uses an interface similar to email, with the Twitter or other social feed appearing as a list in the center of the screen, and additional options in the left nav (see above). PeopleBrowsr allows you to create and manage groups by adding public or private tags to any users from any of your different social sites. Then you can view everyone in a group in a widget of their own. The Firefox installation sits in your browser and updates on the fly. You can set up how often the application updates Tweets, from every minute to every five minutes, you can choose to be notified with a popup display or notification sound, and if you have Echofon install on your iPhone, you can sync your device. Echofon is free of charge, and comes with four unique themes. The speed of updates alone make Echofon worth a look for anyone managing a single Twitter account, or multiple accounts. 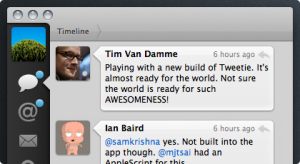 Initially released in April, 2009, Tweetie has been a go-to app for many Mac users with it’s shiny interface and easy to read tweets. Don’t let the interface fool you though, you can manage a large number of Twitter accounts from within Tweetie, with easy access to replies, direct messages, and a powerful search feature. For Social Media marketers or Community Managers managing Twitter accounts, threaded conversations and the entire conversation history are available with a double-click. 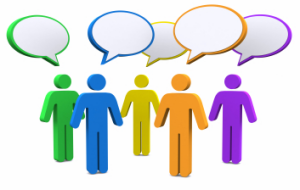 Threaded messages are also a powerful feature meaning you never lose track of a conversation. To shorten URLs, there are five choices, and three options being available for image hosting. The one drawback of Tweetie? It’s currently only available for Mac or iPhone users. Regardless of which social network you’re managing, ping.fm is probably the most comprehensive multiple platform management application. Did we mention it’s free? Use your browser to login with your email address, and set up accounts on a wide variety of social networks, including Twitter. Ping.fm is useful for marketers managing brands, who wish to add a consistent message across multiple networks without having to manually enter each one. Twaitter (BETA) is a web-based Twitter management site where you can manage, schedule, save, and translate Tweets. Its web-based environment means that you can access its functions from almost anywhere. Twitter’s 140 character limit is no excuse for spelling errors when you’re representing a brand. Fortunately, Twaitter has spellcheck that lets you check for any error within your 140 characters. Twaitter’s scheduling feature is as simple as it is functional. Click on ‘schedule’, choose whether the message is a one-time only, or recurring tweet, and schedule the time. Very useful for events or product releases when you can’t be at a computer. Twhirl, a Twitter desktop client which runs on the Adobe Air platform and runs on Windows and Mac OSX. 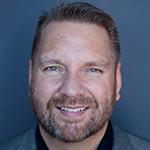 The application connects to multiple Twitter, Iaconi.ca, Friendfeed, and Seesmic Video accounts – all the features necessary to manage Social Media on a broad scale. Twhirl offers reputation management features – you are able to find Tweets mentioning your username, and search tweets and follow topics in near-real time with saved searches. For the marketer or Social Media manager, Twhirl offers another alternative to an already excellent set of applications. Whatever time you dedicate each day for Twitter – whether its hours or minutes a day – there’s a tool available to help you better manage activities. Try out some of our suggestions, and let us know what you think. Of course there are more Twitter management tools than what we’ve mentioned here including: Seesmic, Tweetvisor, Splitweet and others. What’s your favorite Twitter management tool? Howdy! We're thrilled you blogged about HootSuite. Just to let you know, HootSuite also supports WordPress.com, and for our upcoming Pygmy Owl release, we'll add support for several other high profile social networks. We're always innovating, and several exciting features are coming through the pipes. Good list of tools to manage twitter account. I was using TweetDeck but now I will explore other tools also. BTW, in your blog, the screenshots and content is matching. Just shift the headings above the screenshots to make it clear. Syed, I agree about the headlines and screen shots. We'll keep that in mind for future posts. Great tools, I didn't even know they existed. I am going and try all of them. Thank you a lot for sharing. Not crazy about using stuff that automatically updates other things. Worried about who's got my login info and what they do with it. Have used Tweetdeck. Nice interface. Not crazy about the fact that you can't manually put in the password anymore. Have used Seemic. Like that you can set it to ask you for your password. (Yes I'm concerned about security) You do have to click Mention over on the left to check if you have been retweeted or had a reply. It's perhaps ironic that I had to come here and plow thorugh this lot in order to realise that Tweetdeck, which I've used for months, actually has the facilities that it now does. Duh! This is a really good detail on effective Twitter tools. Many times I find people confused on how to use twitter effectively as it allows only few words and this does not seem to work out all times. Definitely this is the correct way to manage Twitter. I use Tweetdeck now, but you've piqued my interest in some of the other applications. Getting the most out of the big social media platforms is a big goal for me, so applications that integrate those profiles are helpful. Thanks! Really good information about Twitter tools that could be used for a better business management.The more you network within communities like Facebook, Twitter, MySpace, YouTube, etc, the more your brand is going to be exposed to others. This is a really detailed and useful post. I was not aware that there was so many Twitter management tools out there and we try some of these out. I am still faithful to Hootsuite first! But the list you compiled is quite good. Thanks for the ideas to utilize Twitter better. I personally know I need to dig a lot deeper to bring out the full potential on Twitter. Excellent article! I use Nutshellmail.com – which helps me merge all my social activities, be able to reply within the email client- enormous tool for those of us on the go.I use Twitterfeed to pull together my preferred blogs – which feeds into Twitter or FaceBook Page. It helps me spend more time on FaceBook, so I read my favorite blogs, contribute to with my people, and be able to keep online, real time. Thanks for the tools i've been using hootsuite when it was first released and love it, will try out people browser tonight, thanks for the tips on twitter tools.